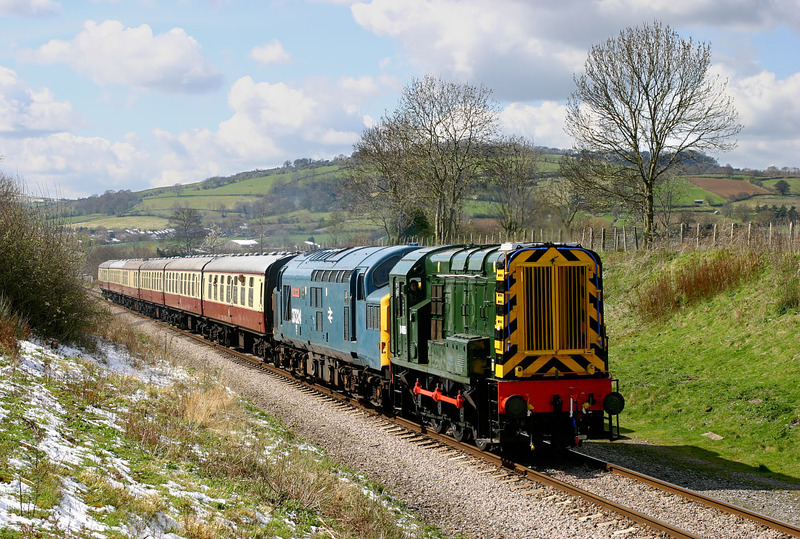 D4095 (08881) trundles sedately along between Winchcombe and Hailes with the 12:35 Winchcombe to Toddington service on 6 April 2008, during the Gloucestershire Warwickshire's Diesel Gala. The 08 was the star attraction at the gala and was due to be exported to Libya later in the year. 37324 Clydebridge is here acting as a air to vacuum brake translator and is not supplying power. Most of the overnight snow had now melted, with just a little left on the cutting side from which the shadows had only just cleared.